Suntech Power is a Chinese producer of tier 1 solar panels with 12 year product warranties and 25 year performance warranties. They have an Australian office in North Sydney. Suntech is unique because it is the only major solar panel manufacturer in that world that was founded by an Australian. Suntech Power was started by Shi Zhengrong in 2001 and it rapidly expanded to become the largest solar panel producer in the world in 2011 with 2.4 gigawatts of production capacity. But due to massive financial problems the company has not expanded since then and produces around 2 gigawatts of solar panels a year. At the end of 2016 it was probably the 8th largest panel manufacturer in the world behind Yingli Solar. Shi Zhengrong was born in 1963 in Yangzhong, which is what counts as a small city in China, 200km north-west of Shanghai, next to the giant brass puffer fish. His parents were so poor they kept his twin brother and adopted him out. You might think his parents ended up kicking themselves for not keeping the one who became a billionaire, but apparently his brother made it big in the world of business also. But I have no information on whether or not his business also came crashing down around him. Shi Zhengrong studied at Shanghai University and obtained a Masters degree in “lasers”. He then went on to study at the University of NSW and obtained a Ph.D. in electrical engineering. He obtained Australian citizenship and after failing to obtain both investors and government support in Australia, he returned to China to found Suntech in 2001. The company expanded rapidly and became a world leader in technology and in August 2009 they broke the record for both polycrystalline and monocrystalline solar cell efficiency. In 2011 they became the world’s largest solar panel manufacturer. 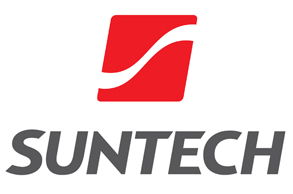 Suntech’s financial position deteriorated after 2008 and by March 2013 they became a world leader in financial disasters by being the first mainland China company to default on their US bonds. At the time the bonds were worth $541 million US and the company declared bankruptcy soon after. Shi Zhengrong was forced out of his position as Chairman and CEO. Their default wasn’t the first time Suntech had trouble with bonds. In July 2012 they suddenly realized 560 million Euros worth of German Government bonds they had held for two years were actually forgeries that were part of an Italian scam. Not noticing they were being conned in the first place and then not realizing it for two years, or if you are of a suspicious turn of mind - keeping it hidden for that long, was an act of incredibly stupid negligence. So if your boss is ever down on you for a money losing mistake, you can console yourself with the fact that you probably haven’t saddled your company with 560 million Euros worth of counterfeit bonds from scammers. In 2007 Shi Zengrong was apparently the richest person in mainland China. But as the financial position of Suntech deteriorated the value of his share of the company fell from $3 billion to $32 million, which isn’t even enough to buy 33 Sydney homes. But he is still working to promote solar power and fighting to further develop clean energy to oppose climate change. His next goal is for the world to reach 100% renewables. He says life should be green, sustainable, and enjoyable. So good on him. It’s hard to keep a good former billionaire down. There should be more people like him. And genetically speaking, there is one more. While Suntech went bankrupt, it never actually died. After restructuring, the Suntech website says they have now have nearly zero debt. However, I have some conflicting information on how good Suntech’s financial position is. While diversification certainly can help companies survive economic downturns, I’m not a massive fan of it and think that what really makes a company financially secure is not being over leveraged and consistently not losing money. Companies that manage to pull that off can hang around, more or less, forever. 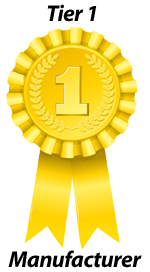 Photon Consulting listed SFCE as 6th out of 61 companies for financial health in 2015, which is a pretty good result. Suntech produces a range of solar panels which are up to 18.4% efficient. They are certified as corrosion resistant, which makes them suitable for installation in coastal areas. They have 12 year product warranties and 25 year performance warranties. VDE is a massive German association which, among other things, is a standards body that devised a rigorous testing process for solar panels that simulated exposure to harsh conditions for decades. Suntech was the third manufacturer in the world to have panels pass their test and contract VDE certification. Suntech makes reliable, tier one panels, so I would be fine with putting them on my roof. Despite their previous financial dramas, they seem to have come through and built up a relatively sound financial position. And because their panels are reliable, hopefully you’ll never be in the position of needing to make a warranty claim. They appear to be of above average quality, rated at 300 watts maximum output. However, there are other brands like Sunpower rated at 385 watts, but would probably cost more. Our rating score is basically a guess as we haven't actually monitored them, but to our knowledge there haven't been any problems detected by installer's monitoring system. Just can’t wait for battery installation to upgrade the solar.... when price & technology improve . But prices/ technology still rqr to improve..,there’s mOther alternatives tib store my energy , need lower pricing and technological improvement My solar panels seem lot Be surviving well . I had an audit done on the Solar system done by a contractor to the government. They were very impressed with the workmanship of the installers & told me that the installation was in the top 5% of installations that they had audited. They were also the people that picked up the problems I was having with the inverter. Also very boring. Boring is good. Unobtrusive, you get used to them in time. winter time performance is very poor.....despite buying an extra 4 solar panels (after initial 13 as recommended by GO-Solar ie total of 17) most days in winter the solar panels don't supply even 50% of our usage. Works very well - even on cloudy days. Again I can only read the most recent installation. The 310W Enphase / Suntech panels perform to manufacturers specifications. The installation was very good and well worth the money. However if you do not use the power output, you lose it and the present battery costs are not viable. At the risk of getting shot down by solar panel installers, I would highly recommend you use solar tubes for your hot water. I believe the solar tube is more efficient than the solar panel, the output is stored in a generic insulated hot water tank in your house, and unless you have calculated how much hot water costs you in your house, you will not understand how much you can save. Mind you electricity has a wide area of uses, hot water tends to be restricted. I have 12 x 250 watt Suntech panels and they do reach the maximum of 3kW input regularly. Can't fault them at this stage - would have no problems reccomending to any purchaser. Devonport Electrical did a fantastic job with the istallation and I have received a number of non solicited comments from both neighbours and visitors regarding the excellent appearance of the array. It's probably not so much the appearance as the total lack of visual impact - unlike many arrays that stick out like 'sore thumbs', they simply look like they 'grew there'. I am very pleased with their performance on cloudy and rainy days. They still put power into the batteries, even with the rain coming down. Impressive! System has been operating for about 6 months now. so far no problems at all as far as I can tell. There's nothing wrong with the panels that CSR Bradford fitted, it's just where they put them. I was up on the roof the other day doing another job and the panels still look good connection all still intact. Completely trouble free so far. AS with the inverter, no problems at all. They never get above 1.5 kW which is much below the 1.9 kW expected. This is in full Queensland sun. Easy to access and clean and seem to be performing as expected. I worry about the maintenance; cleaning etc. We have 8 x 190kw panels and generate on average 7kw a day throughout the year. In Wiinter we generate about 5kw, in Spring 8 to 10kw, Summer 7 to 9kw, Autum 5 to 7kw. It really depends on cloud cover and how many hours of sunlight. 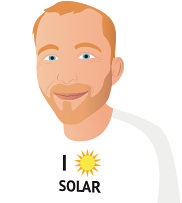 If it's heavy cloud all day you may only generate 1 to 2kw, which is more likely to occur in Winter and due to the shorter hours of sunlight during this time of year. We try minimize our usage of power generated by the panels during the day, so that we get the 48.5 cents per Kw of power that we put back into the grid. We basically use half the power generated and half goes back into the grid. We have changed pool pumps, dish washers, washing machines to come on in the evening. So that we put more power back into the grid. We have ducted, reverse cycle, refridgative airconditioning (Temparzone) brand and this generates a fair bit of power. We tend to use it more for heating in the Winter, then cooling in Summer. Our power bills in Winter have been cut by one third and in Summer by half with the Solar. Unfortunately, we have no comparison to other systems or to what we should have produced in the past year. In the winter months we seemed to produce very few kw on many days. N/A We know nothing about them or if they even work. I am thinking of increasing the power of the system to double, but not sure if it will have implications to synergy. Have cleaned panels once. There wasn't much dust/grime. intend to clean twice a year. Easy to clean with SOFT bristled broom. They just sit up there and work with no fuss. They just need the sun to shine. For anyone who is thinking 'solar' and planning to build a house, consider a roof design to optimise a solar installation. Our 2 Kw system faces north-east and lies on the roof at a tilt of 15 degrees. A few changes to the plan, before building, would have resulted in a very interesting roof shape, and allowed at least 3 kW tilted at 30 degrees to face north. Have 11 panels generating 2.03 Kw.Halcol suggests you have an annual check on wiring etc plus a clean of the panels costing $130. Had to get rid of a possum which had decided to build a nest between our roof and one of the solar panels! They work well even on cloudy days. Suntech STP 190 3-27 panels. 27 panels. I do notice some drop off in hot weather as with most panels. For appearances the panels are all almost flat and this gives me a loss of about 4Kw /day in summer. Performig as well or better than expected. We are fortunate in that we have perfect orientation and no overshadowing so our panels are working from early am to late afternoon/early evening. We used the advice provided by Solar Quotes and other sites regarding the choice of panels and their manufacturers and whilst we paid for this we definately can appreciate the quality. After all the research i found the panels they sold were of a high efficiency (suntech, i think it was at the time). There is a website that gives you country of manufactor,efficiency & warranty on panels (don't get confused with warranty on panel frame)panel warranty maybe 25 years & frame warranty is 5 years. They have worked for 1 year with no problems. Hello I am keeping a record of monthly outputs and to date the monthly average is 289kWh (so dependent on conditions). The system comprises 12 x 190W Suntech panel delivering 2.28kW output. Mine are 190W mono-crystalline. Total system is 2.2 KwH. Like the inverter they just do their job day in - day out. All still seem to be working! Disappointing that individual panel performance is not available, would be handy, thereby change if required. See above as for inverter. They are operating to expectation and well within specifications. I'm not sure about this. I found that the amount I received from my electricity provider dropped off quite a lot in the second year and this seemed to be generation as far as I could tell from the bill although I must say the provider makes the bill very difficult to read. We Have 16 panels - Over 12 months we have gone from $1600 per year electricity bill to $200 per year - well worth the exercise and peace of mind. Our panels are the 190 watt PV modules and never had an issue with them at all, performance or reliability......must get up there to give them a wash!! Panel performance is seriously affected by shading (I was aware of this before we installed the system) and also is affected by dust and bird/bat droppings (which occur around our house). I have begun washing the panels periodically, particularly late in our dry season (Darwin). We had problems earlier this year with the output of the panels exceeding the capacity of the installed fuse; this has since been rectified by our installer. The panels are good they are 175W and I have 6 on my roof. They appear to be consistent, however I notice the actual wattage fluctuates wildly and have never had an explanation as to why this is happening and suspect once again it is the installers installation, perhaps you guys can tell me?? I've had no problems with the panels so far. run better if they are not on a really hot day. I chose these because they were invented by 2 guys from the CSIRO. A mainly robotized factory ensures high quality. Power generated peak of 2.5Kw (that I have observed) from a 2Kw rated system (I would have had bigger, but no more roof space). Installed 9 x 180w panels Dec 2010 and first year production is still being attained.